You will probably agree with me that the guys over at Catalyst are a bunch of productive super-geeks. 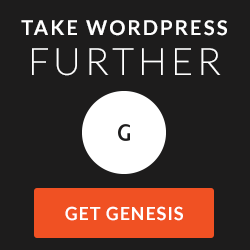 Last week they released the Genesis Extender, a plugin that makes it really easy to customize any Genesis child theme. And last summer, they brought Dynamik, a highly customizable child theme of their flagship the Catalyst Framework, to Genesis Framework. 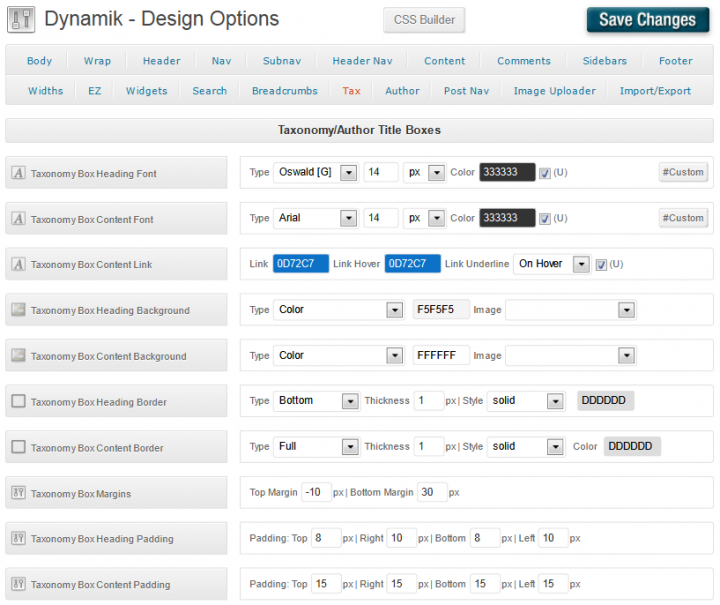 This Dynamik Website Builder allows you to create your own custom Genesis child theme. All you have to do is point-and-click – no coding needed. In earlier posts, I have already explored the possibilities of Catalyst, Genesis, the Dynamik Website Builder (DWB) as well as the Genesis Extender. Several of you have asked me how Catalyst with Dynamik compares to the Dynamik Website Builder, and which of the two I would recommend. Well, read on. In order to answer the questions above, I used the latest versions of the frameworks (Catalyst v1.5.3 and Genesis v1.8.2), as well as of the child themes (Dynamik v1.1 and Dynamik Website Builder v1.0.2) for this comparison. We will start our tour with by examining the environments. Then we compare the design options, the more advanced options and the pricing of course. At the end I will share my personal thoughts with you. Is that a problem? No not really. It is simply a consequence of the fact that the Dynamik Website Builder has to adapt itself to the Genesis Framework from StudioPress. In case of support, users of the Dynamik Builder need to consider where to turn to; to Catalyst or to StudioPress. Both offer very responsive forums, equipped by skilled support staff, so I do not expect any problems in that field either. Catalyst as well as Genesis allows you to install a third-party plugin for Search Engine Optimization (SEO). Both frameworks will disable all native SEO options in favor of this third party plugin as soon as you activate it. In addition, Catalyst offers a SEO Kill Switch which lets you disable all of the incorporated SEO functions manually. As you can see, Dynamik for Catalyst and Genesis offer almost the same design options. There are only a few discrepancies. Let us have a closer look at those. Catalyst offers Hide Options for pages and categories. These are not available with the Dynamik Website Builder for Genesis. By adding some – easy to understand – code in the text box at the Hide Options, you are able to prevent certain page elements from being displayed. In fact, what you do here is applying the CSS Display property; display: none. In order to achieve the same with Genesis, you would need to apply a custom CSS class to a page or a post, and compose the CSS manually, while Catalyst will constructs the necessary CSS rules for you. An alternative route incorporated in the DWB is by applying custom conditionals. An advantage of Dynamik over DWB, that is not directly obvious from the list above, is the number of available wrap structures. Where the Dynamik Website Builder offers two options – a fixed and a fluid design – Dynamik for Catalyst offers eight options, since you can mix and match fixed and fluid wraps for headers and footers. The Header Nav is an option available for Genesis child themes through the Header Right widget area of the framework. In order to add a header navigation, you simply add the Custom Menu widget to this area and select one of your WordPress menus (Appearance >> Menus) from the drop down menu. With the Taxonomy (Tax) settings, you can style the headings, content – including margins and paddings – of index pages like categories, tags, authors, and archives. With Catalyst/Dynamik you can create additional Custom Layouts. That seems like an advantage of Dynamik over DWB, however, where the Genesis-based DWB offers six layouts by default, Catalyst offers only three – with the possibility to create additional page layouts. So, I would say this is a tie – or otherwise; too close to call. The Custom Options of the DWB includes a text box where you can enter custom PHP code. There are a lot of code snippets for Genesis child themes available on the web and this box allows you to enter and apply such precooked code. What the Dynamik Website Builder does offer, and the Catalyst/Dynamik duo does not, is the ability to create Conditionals which you can apply in combination with widget areas and Hook Boxes. Conditionals allow you to construct more intelligent page layouts, layouts that only will appear when the specified condition is met. When it comes to CSS, Dynamik as well as the Dynamik Website Builder offer the same tools to help you style your website: a Custom CSS box, the CSS Builder, and last – but certainly not least – the Front-end CSS Builder. The Dynamik child theme comes bundled with the Catalyst Framework which is yours for $127. The Dynamik Website Builder costs only $77, but you need to pay an additional $59.95 for the Genesis Framework in order to use it. So we are talking about a price difference of $9.95, less than 10 bucks. 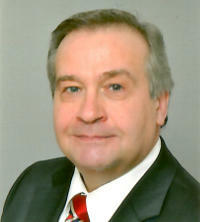 That is not much certainly not because in both situations you obtain a lifetime license, product updates, and support. Personally, I think the most relevant differences between Dynamik and the Dynamik Website Builder are the wrap structures and the conditionals. Although both solutions supply you with the possibility of boxed and stretched website designs, with Catalyst you get a few more options. For example, you can mix and match a fixed header with fluid footer or vice versa. The conditionals of the Dynamik Website Builder for Genesis allow you to create more intelligent page layouts; for example, a widget area that should only appear on certain pages. The Dynamik Website Builder is build on top of the Genesis Framework. I guess that is another advantage in favor of the DWB. There are dozens of Genesis child themes available. StudioPress alone offers 45+ child themes which are only $24.95 each. With Catalyst as well as with the Dynamik Website Builder for Genesis, you can build any website you like. Both are excellent products. When you do not think you will ever want to use a Genesis child theme, go with Catalyst. When you think you might consider applying a Genesis child theme for a future project, go with the Dynamik Website Builder for Genesis. If you cannot make up your mind, but you need to make a decision? Pick the Dynamik Website Builder. I really enjoyed the post, however as a WordPress newbie I am still a little confused. I was hoping you wouldn’t mind taking a few minutes of your valuable time to help. 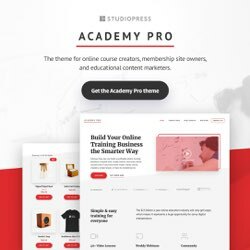 Even though I am new and inexperienced with WordPress – I want to learn how to develop my own website from the ground up so that i can learn the actually processes involved. I do have a couple of websites I have found for design inspiration. They both incorporate the “Masonry” grid styled blog pages with infinite scroll, and a vertical sidebar menu. I previewed some of their scripts and css using Chrome Developer Tools and found that I am going to have to download the Jquery Masonry or Isotope plugin by David Deseandro, and the JS Accordian Menu in order to create the custom pages with vertical navigation in the sidebar as needed. My question to you is that I am torn between purchasing the Catalyst Framework to assist with this development or the Dynamik Website Builder for Genesis. In your review you stated that if you “cannot make up your mind, go with the Dynamik Website Builder” but I was hoping that maybe with the design criteria that I have outlined you might have a better perspective for direction. Thanks in advance for your consideration on this matter. I will certainly purchase via your site so that you get credit as an affiliate. My thinking is that Dynamik was made initially for the Catalyst environment and that in tweaking it for the Genesis development environment – you might lose something or create potential for bugs. Hi Trey, welcome. Well, you are asking a couple of excellent questions, and it will be my pleasure to reply to them. The past few months, I have been working with Catalyst as well as with Dynamik, and both operate almost identical. It is true that Dynamik is more or less a Catalyst port to Genesis. In fact, the panel of the frameworks confirms this; the Catalyst panel is little more compact, since it was build from ground up, while Dynamik had to be adapted to fit on top of Genesis. But that is about it. And in only a very few situations, like when choosing for either a text based or a file based logo, Dynamik will present you a link to the Genesis panel. However, since you are ambitious, I would suggest to go for Dynamik, because of the conditionals which allow you to create dynamic page layouts. And since you need the Genesis Framework in order to work with Dynamik, you also get an easy path to Genesis (child themes). 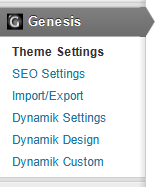 You can even export your own Genesis child themes with Dynamik. Of course with Catalyst, you can export Catalyst child themes. So I am sorry, but I really cannot say that Catalyst is a better solution than Dynamik. Or the other way around. Both have their pros and cons. I think that it boils down to the conditionals and whether you like to have an open door to Genesis. Was this a little helpful? Regarding the conditionals with Genesis, you can pretty much do the same thing with Catalyst — albeit not as straight forward. Catalyst does have custom pages if you so want to do so as you can with the conditionals with Genesis. It takes a little bit more work but it is do-able with Catalyst. Not trying to derail you of your oppinion Wil, appreciate the time you took to lay out the comparison for both of these frameworks. Hi Ben, please apologize that I did not get back to you earlier. All constructive input is more than welcome, thanks. Your solution comes close to the possibilities of the conditionals, that is correct. You can add some intelligence with a plugin providing widget logic. Yesterday I read all about your search for tools and your grown interest in frameworks. Recognize even the thinking steps in defining frameworks versus frameworks ‘in-name-only’ and theme/childtheme combinations. A year ago I was busy with exactly the same and then trying to decide between Genesis and Thesis. For me the choice then fell upon Thesis, because it had more options to shape a site without using PHP, CSS, HTML. I now know more about it, but still don’t regard ‘coding’ my strenght and/or hobby. In the past year my curiosity for frameworks and premium themes lead me towards Catalyst, Headway, U-design (Themeforest), Ultimatum, Canvas and Whitelight (WOO themes), YOOtheme, Thesis 2.0 and Gavick Pro, but still not Genesis from Studiopress. Nice to read how you yourself ended up with the Genesis/Dynamik combo. Reason for coming back today, was because I did not completely agreed with your comparison between Catalysts Custom Layouts and the Dynamik Conditionals. Just to find out that Ben already put this straight. Overall, great articles and you made really made me thinking of adding the Genesis/Dynamik/Extender combination to the toolset, because time invested already in Catalyst/Dynamik pays of double this way. Thanks, Wil. Hi Sjef, thank you for very much for sharing your thoughts and experience regarding WordPress theme frameworks. I can definitely recommend Genesis/Dynamik and Genesis/Extender for web projects. Thanks to the graphical interface of Dynamik is a great web development tool, even for non-coders like you and me. And since you already have been working with Dynamik in combination with Catalyst, your first Genesis/Dynamik site will be up and running in no time. Looking forward hearing more from you. And when you have a question, just leave a comment or drop me a note. It will be my pleasure to get back to you. Any help would be so appreciated. The terminology they use does not make it clear what area I am working on. And the presets are too narrow and limiting. The 3 column I was able to test, made my opt in box get cut off on the right ( I have temporarily removed my opt in until I can get the layout right so you won’t see it there now). You can achieve this in three steps. Wasn’t sure if both of these instructions were for me. I don’t see Genesis anywhere in my Dynamik. And no Site Layout Options or default layout choice. Sort of figured out some things by staying up all night. Thanks so much for your quick reply – I am just so new to making tweaks to any WP theme that this is a big learning curve for me. MOre than 50% of the things I change, make ZERO affect on my blog…I started wondering what those choices are there for! Wish I knew how to make the gray tabs on the nav bars transparent. And how to make some space between the long left nav bar and the center content. 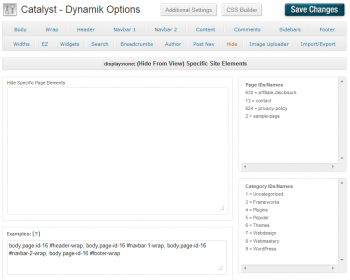 This post compares Catalyst with the Dynamik Website Builder (DWB). In first instance, I assumed that you were referring to the DWB (the Genesis/Dynamik duo) with Dynamik. When I noticed the Catalyst favicon on your website, I decided to add the instructions for Catalyst/Dynamik as well. Both solutions use the Dynamik child theme, which makes it a bit confusing 😉 . In case you want to make background of the the navbars transparent, just select “transparent” from the drop-down menu – usually the second option with backgrounds. Did you check the Catalyst forum for the cheat-sheets? Thanks for an excellent review, with some really helpful information! I think I’m going to opt for Genesis personally, although I think it’ll be quickly followed by Catalyst. They obviously both offer a great deal of flexibility however my biggest dilemma is how they stack up in relation to SEO. Hi Paul, thanks for your kind words. The Gensis/Dynamik duo is my favorite too, though it is almost too close to call. And when you are used to the Dynamik Website Builder, you will be up-and-running with Catalyst in now time – and vice versa. Although both over great SEO options, I usually install Yoast’s WordPress SEO. One of the advantages of a third-party plugin for SEO, is that you will not loose your SEO settings when you switch themes. Thanks again. I tried to register for the forum but it takes me to a screen where I have to pay for the theme that I already own. How do I get access? I clicked transparent by everything and the color still shows up. I know it’s me but somehow I think someone has got to come up with an easier way. Like write in people’s language and post answers to commonly asked questions. I wish I was a theme creator. I’d take everyone’s frustrations and make that part simple. You should be able to register by clicking the Member Login link. Just make sure that you register with the same e-mail address that you used when you purchased your product(s). Otherwise, drop them an e-mail. Please help me know what a hook box is? I can’t relate this term to anything to help it make sense to me. Thanks for your patience with my newbie questions. Hooks Boxes allow you to create custom widget areas. Since you are just starting out with Catalyst, I suggest that you forget about the Advanced options for now. You should be able to create your website with the Core and Dynamik options. Okay! Glad you managed to get your copy of the cheat sheet. Every framework has a learning curve, just hang on in there. And do not be afraid to experiment; change a setting, hit the [Save Changes] button and check the front-end. You can always easily Undo Last Save by hitting the [Dynamik Options Reset] link. I purchased the Genesis and the Dynamik last year. Then wanted to consider buying the Catalyst to get Dynamik that way recently but would have to pay another $127. (no break). Then I saw the Dynamik Extender the other day! I find the whole dam thing very confusing! and I just hope I don’t wake up some morning to hear that the one I have is not being supported. Then I would have all my site in jeopardy and have to fix everything up! 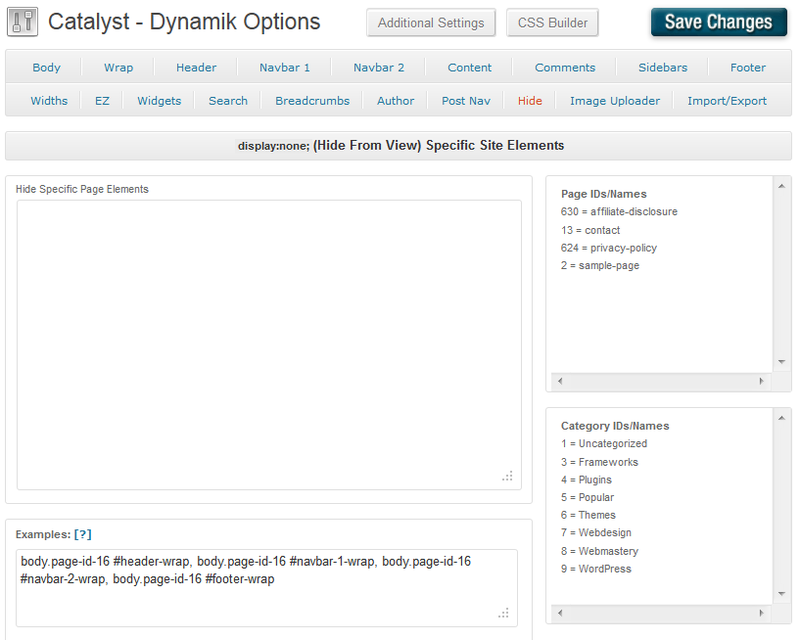 Catalyst main web site is another very confusing place, try to find Dynamik or Extender, good luck! I think to be safe one should pick the Catalyst pkg, as in the long run you will not have to worry about them getting along with Genesis. Pretty hard to hit a target when you try to point your arrows in to many directions. Hi Brian, I can understand why you find this confusing. Basically, the Genesis-based Dynamik Website Builder (DWB) and Catalyst offer the same functionality; they let you create new websites (structure and styling – read: functions.php and style.css) from scratch without coding. With the DWB you can generate child themes for the Genesis Framework, and with Catalyst child themes for Catalyst. The Genesis Extender plugin allows you to modify the structure (functions.php) of existing Genesis child themes without coding. This might be helpful when you have purchased a Genesis child theme from StudioPress or a third-party. 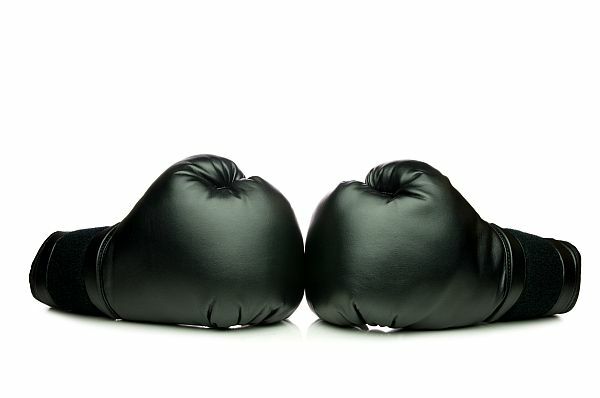 I am wondering why you are considering to replace the DWB with Catalyst when both offer a comparable toolbox? Thank you very much, this is exactly what I needed… a deep comparison and even some personal preference thoughts. I know both may be great but I was tired of everybody saying the typical “I can’t tell which one is better, it depends, both are great”. You have stated that throughout the whole article but weren’t afraid to state your personal preference… so thank you, because an opinion coming from someone with experience is worth a lot. So, thanks, thanks, thanks for this great article.